These days, many companies opt for automated milling. 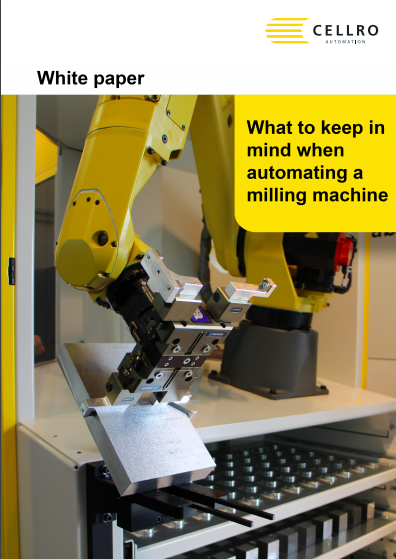 This means more and more companies are wondering if their milling machines are suitable for automation. So, what should you keep in mind if you decide to automate your milling machine? Cellro specialises in automation solutions and this white paper will provide you with some handy tips! What is described in this white paper? Do you want to learn more after reading the white paper, or do you want to contact us directly? Our experts are always eager to help you.